A man used a toddler to climb into the Key Master machine to grab prizes without playing the game, according to police. SALEM, N.H. — Police are looking for a man who they say used a toddler to steal prizes out of a vending machine game at a mall. Several witnesses recorded video of the incident Friday evening at The Mall at Rockingham Park. 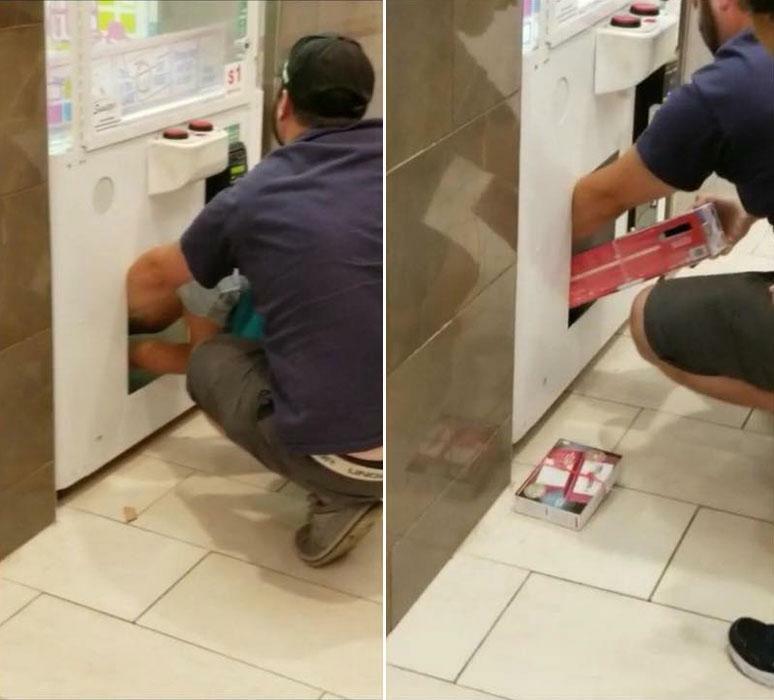 The man had the small girl climb into the bottom of the Key Master — where prizes are dropped for winners — and reach up and grab various items and hand them to him, police said. The man, who also had a young boy with him, then left the area with the children and items, according to police.